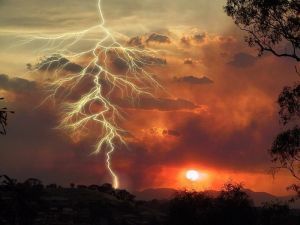 Being struck by lightning is widely considered to be a relatively rare event, and it is true that lightning strikes are not as common as most types of workplace injuries. However, a publication by the National Weather Service recently took a look at some of the dangers that workers face due to lightning risks. Since summer is a time when many workers work outdoors, and since summer is also a time when lightning and thunderstorms are common, it is important for every worker and employer to understand the potential chance of injuries due to being struck by lightning. Our Boston workplace injury lawyers know that there is no way to guarantee that lightning will never injure or kill a worker. Still, by learning more about the underlying causes of lightning injuries and about who is most at risk while on the job, employers and employees can take active steps to avoid disaster. According to the National Weather Service’s lightning safety resources, there were 238 deaths in the United States between 2006 and 2010 as a result of lightning strikes. While many erroneously believe that golfers are at the greatest risk of being killed by lightning, the Weather Service instead revealed that fisherman accounted for about three times the number of lightning strikes as golfers. These fisherman could be people out fishing for fun or pleasure, but could also be fisherman employed by food companies or restaurants to catch fish to prepare and serve. Ranching/farming: There were 11 deaths from 2006 to 2012 in which ranchers and/or farmers lost their lives due to being struck by lightning. Focusing on the risks is very important now as June, July and August are the peak months for lightning injuries and deaths. In fact, a full 70 percent of all deaths due to lightning occurred over the course of these summer months. Workers in any outdoor jobs are always at risk of being struck by lightning when trying to work during a storm. If the incident occurs while a worker is on-the-job, then workers’ compensation benefits should kick in to cover the losses of the injured worker. Workers are entitled to workers’ comp benefits for lightning strikes or other injuries, even if employers are not negligent or careless in a way that causes the worker to be harmed. Since employers (or their insurers) are always on the hook for paying workers’ comp benefits after a lightning strike occurs, employers should generally do everything possible to prevent workers from getting hurt in the first place. This means complying with OSHA safety rules and being very cautious about sending workers out to perform work in bad weather when a storm can blow in. Your Employer May Be Watching If You Are On Workers’ Comp, Massachusetts Workers Compensation Lawyers Blog, June 24, 2013.